Global Nonwovens Printing Machine Market – dynamics, segmentation, regional overview, and key players. Nonwoven bags are usually made up of a mixture of fibres and the material is bonded together by a mechanical process. Non-woven bags are a great alternative to the plastic packaging material. Nonwoven bags are highly preferred by the consumers as they are fabricated at a faster rate and have high flexibility. Printing of non-woven bags became easy when nonwoven printing machine came to the market. Nonwoven printing machine made it easier to print images, graphics, text, and logos on non-woven bags. Non-woven printing machines are compatible with print, on all the grades of non-woven bags. Thus, these machines are highly preferred by the manufacturer. Nonwoven bags are used in the food and beverage industry, the pharmaceutical industry, household and personal care. Thus, nonwoven printing machine has an application for printing on nonwoven bags used for different industry. Global nonwoven printing machines market is driven due to the high demand for the nonwoven bags form the retailer’s ends. As nonwoven bags are lightweight in nature and easy to carry, they are highly preferred by the consumers. The rise in demand for the non-woven bags shows a proportional rise of the nonwovens printing machines in the market. As manufacturers are in search of a sustainable packaging solution, they prefer eco-friendly packaging products over plastic packaging products. Nonwoven bags which are eco-friendly and are favoured by the manufacturers. This further raises the demand for nonwoven printing machines. 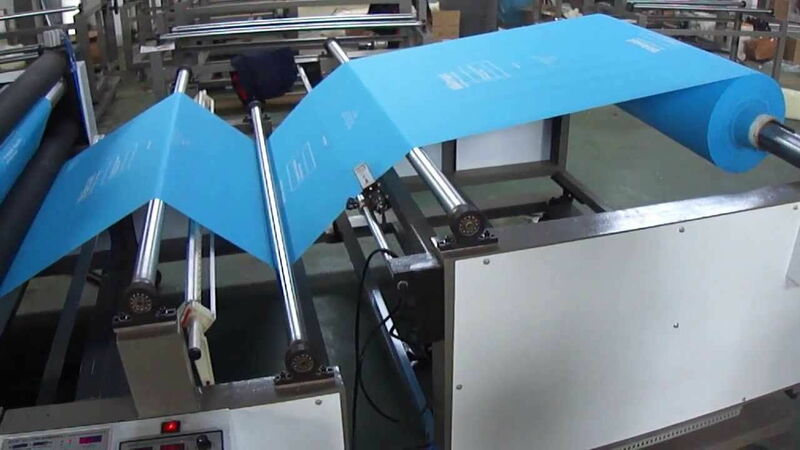 Automatic non-woven printing machines are highly preferred in the market as they have higher productivity compared to semiautomatic nonwoven printing machines. They provide a cost-effective solution by reducing the maintenance cost as well as labour cost. Thus there is an only initial investment on the machines. Food & beverage industry is a significant driver for nonwoven printing machines market, as consumers are emphasizing on easy to consume food. These require packaging products and printing machines. Global nonwovens printing machine market is segmented on the basis of colour type, machine type and end use. Global nonwovens printing machine market is segmented into seven regions including North America, Latin America, Eastern Europe, Western Europe, Middle East and Africa (MEA), Asia Pacific excluding Japan (APEJ) and Japan. Long working hours of consumers over North America region have made them dependent on packed food products. Dairy products, foods products, etc. China has the highest consumption of printing machine and high consumption of products shows a high scope of the rise in demand for nonwoven printing machines in the market. Rising demand for convenient packaging product is raising the demand for a nonwovens printing machine in Europe region. Some of the key players of the nonwovens printing machine market are Prakash Web Offset Pvt. Ltd, KP TECH MACHINE (INDIA) PVT.LTD. The global market for nonwovens printing machines is characterised by the presence of small as well as large equipment manufacturers catering to the diverse client base.